The Foundation Architects: Have You Ever Tried to Change Tires on a Moving Vehicle? Have You Ever Tried to Change Tires on a Moving Vehicle? 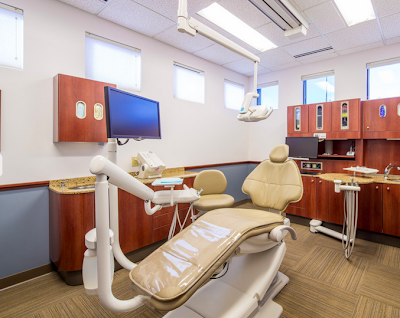 The Amber Leaf Dental clinic in Bloomington (Penn Avenue near West 90th street) needed a full remodel, but they also wanted to stay in operation to maintain patient care during the entire construction process. The Foundation Architects along with Karkela Construction and Patterson Dental coordinated a three-phase construction plan that worked through the clinic in a logical progression to minimize inconveniences. The dental clinic had the same problems as many clinics: The space needed to be used differently in order to care for the optimum number of patients, the clinic finishes were worn, and the equipment was badly in need of updates. Using the same square footage footprint, walls were removed and reception and waiting areas were moved—all while patient care continued. 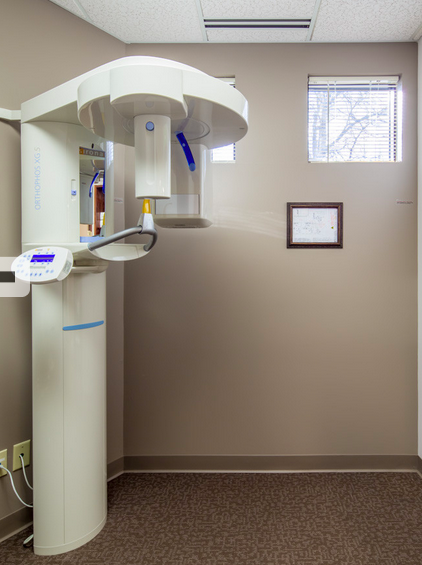 New equipment installation from Patterson Dental was smoothly coordinated with the remodel to reduce construction frustrations. New, energy-efficient lighting, water-saving plumbing fixtures and sustainable finishes were used to reduce waste and increase patient comfort. 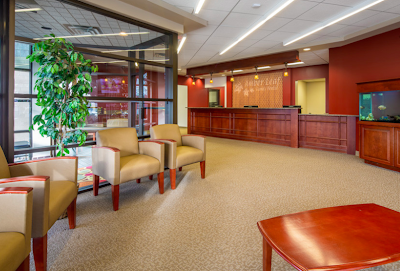 Individual patient care spaces were designed to incorporate themes that are important to the dentist, Frank Russomanno, Jr., D.D.S., such as sports, water, fish and a broad theme, Minnesota. Using the dentist's personal memorabilia, each treatment room offers subtle personal notes without being cliché. Using the objects the dentist collected himself helps form a bond between patient and clinic, which leads to improved patient retention and reduced care-oriented stress. It also opens the door to fun conversations between patient and dentist. Visit the dental section of our website to learn more.